SKU: PL14679. Categories: Biography, Nautical, Sports & Recreation, Sailing. Tags: ashore, boat building, boats, Bull Canyon, journey, sailing, Taleisin. A finalist, 2012 WILLA Literary Awards, Creative non-fiction Finalist 2012 IPBA Next Generation Literary Awards, Non-Fiction Finalist 2012 IPBA Next Generation Literary Award – Memoir. Lin Pardey and her husband Larry are internationally famous for their sailing adventures. But in 1980 — fresh from an eleven years-long sailing journey, where they forged the early years of their marriage on high seas and in exotic locales — they came to California looking for a good spot to build a boat, test Lin s skills as a writer and taste the apparent security life ashore could offer. Nestled in a rocky outcropping of winding, sparsely populated dirt roads, 60 miles from the sea and 50 miles from Los Angeles, Bull Canyon would seem an unlikely place for boat-building. But when Lin and Larry set eyes on the abandoned stone cottage at the top of a rutted, dusty lane, it was love at first sight. The house was certainly a fixer-upper, but there was plenty of room to build a boat, not to mention peace, quiet, and an abundance of natural beauty. They knew they’d come home. Bull Canyon would bring them joy, victories and failures but also packrats in the pantries, flooding rains that would make Noah himself cower, the occasional cougar, and an oddball collection of neighbors as ready to assist these hapless appearing newcomers as they were to gossip or occasionally cause trouble. It would be a life lived close to the land, coaxing vegetables out of acrid soil, living side-by-side with wildlife of all types, navigating dangerous roads to simply get to the nearest grocery store, no piped in water, no electricity, no phones not even a proper address to receive mail. Their marriage would be tested, too, working side-by-side, 24/7. Life in the canyon would prove daunting, gritty, and dangerous, and a tougher bargain in the end than what they’d signed up for. But as tough as life could be there, Bull Canyon was, indeed, the place where dreams could come true. It was here that Lin and Larry tapped into the affirming core of their marriage, accomplished back-breaking physical feats (moving enormous boulders and pouring tons of hot lead, among others), and grew to love the magical yet difficult environment. In the tradition of Under the Tuscan Sun and A Year in Provence, Pardey takes readers on a voyage landlocked, but a voyage nonetheless of the heart, sharing candidly and with great humor the four years she and her determined husband spent in Bull Canyon. From the Thanksgiving when they had to hang the turkey from a ceiling hook to keep it safe from invading animals, to their constant companion, Dog (who is actually a cat), to Lin’s run-in with a couple of drunk hunters, to Larry’s careful coaxing of rough-sawn timber into the beautiful boat, Taleisin, their story, related in the warm, personal voice of the fireside storyteller, is a funny, tender, and engrossing tale. 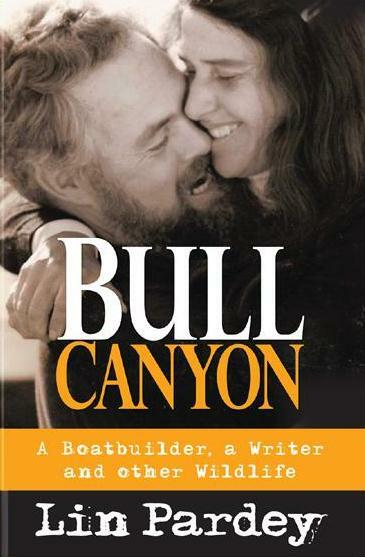 Bull Canyon is the story of two dreamers and schemers who have taken life by the horns and bring the reader along for the wild and joyous ride. Lin Pardey is internationally famous for her sailing and boatbuilding expertise. 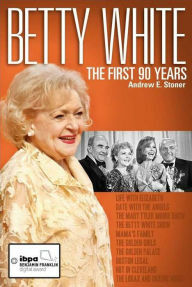 With her husband, Larry, she has sailed more than 200,000 miles and has won many awards. She is the author of eleven books and has created several instructional videos on sailing. The Pardeys make New Zealand their home base, cruising on board Taleisin part of each year. Through hard work and determination, Hansford C. Bayton would rise from humble beginnings to become the captain and owner of five excursion and mail delivery steamboats that plied the Rappahannock River during the late 1800s and early 1900s. Unusually for an African American, he would acquire wealth and the respect of both blacks and whites. Nevertheless, his boats were burned one by one. But with each malicious burning, and with lynching on the rise, he would build again.